Single Level upgraded ranch style La Jolla home. 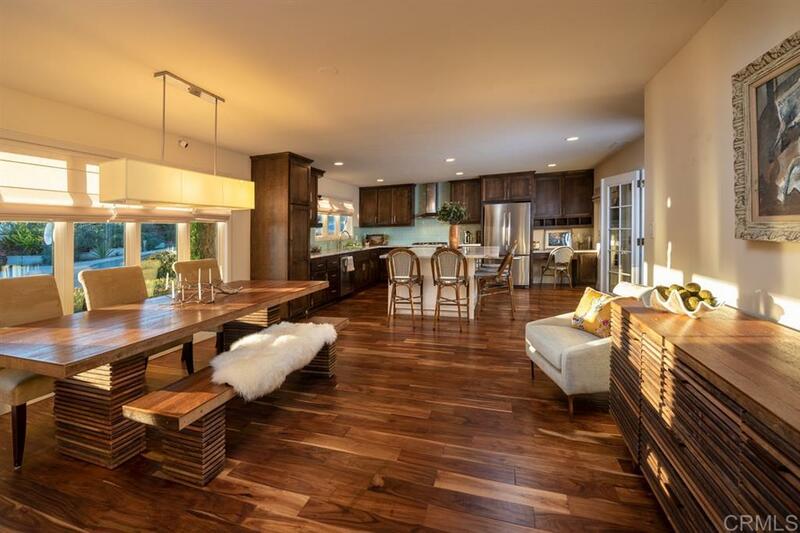 Open floor plan with custom Kitchen featuring large island, hand stained espresso self closing cabinets, stainless steel appliance & distressed walnut wood floors. Dual pane windows & french doors throughout. Master retreat with updated master bath. Enjoy ocean views from living spaces & the terraced backyard. Convenient location with easy access to award winning schools, beaches, shops, freeways and hospitals., This Single Level home boasts many upgrades throughout. Light & bright open floor plan allows for easy California living. Ocean & sunset views from the private terraced backyard. Newly installed Solar & A/C. 2 Car garage with additional parking.